When I imagined my summer break this year, all I could think about was going to the beach, sipping iced tea, and catching up on my favorite classic films I’ve recorded throughout the semester. Little did I know that these images were not going to manifest any time soon, as I’ve been super busy with an abundance of work that I truly am grateful for! With writing deadlines, trip planning, summer classes, and even being in a movie (so much fun), I’ve definitely been keeping myself out of trouble. So, in all, I do apologise for my absence. 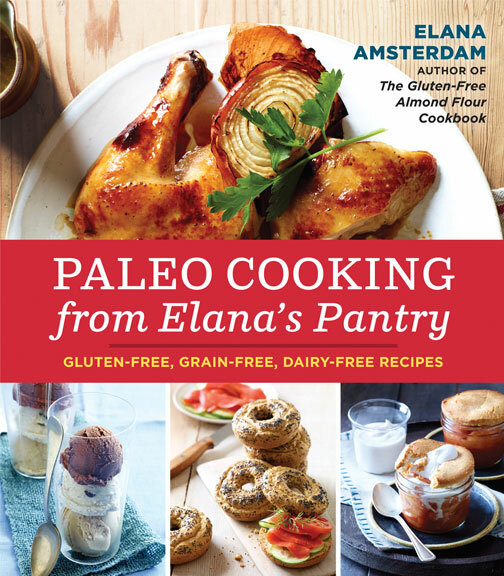 It wasn’t until Elana Amsterdam from Elana’s Pantry sent me an advanced copy of her new book, Paleo Cooking from Elana’s Pantry: Gluten-Free, Grain-Free, Dairy-Free Recipes , that I immediately knew I should put up an update for you guys. Before I delve into how much I absolutely love this book (and how much I absolutely adore Elana), I wanted to give you a little insight into its contents. With a slew of nutritional information, beautiful food photography, and warm writing style, this has been my go-to cookbook for the past couple of days. 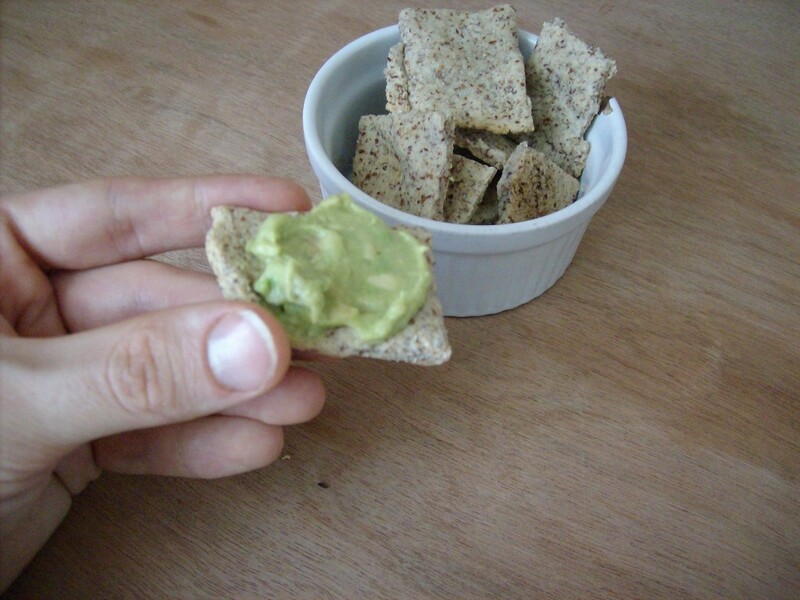 Elana’s ‘Garlic Crackers’ go well with homemade guacamole. When you first open her book, you read briefly about her own experience being grain-free (she’s been “Paleo” for over ten years). Also, being a nutritional science major, I loved the section she included comparing the nutrient content of grains vs. vegetables, seeds, and fruits. Although a staple in many pantries today, grains really are less nutrient-dense than vegetables, fruits, nuts, seeds, and even grass-fed meat, fish, and eggs. Also, her chapter entitled ‘The Paleo Pantry’ is a wonderful compilation of necessary Paleo ingredients you will need for various recipes throughout the book, as well as staples you should constantly have for their versatility and nutrient quality. Currently, I have 16 out of 26 of the items she mentions in this chapter. 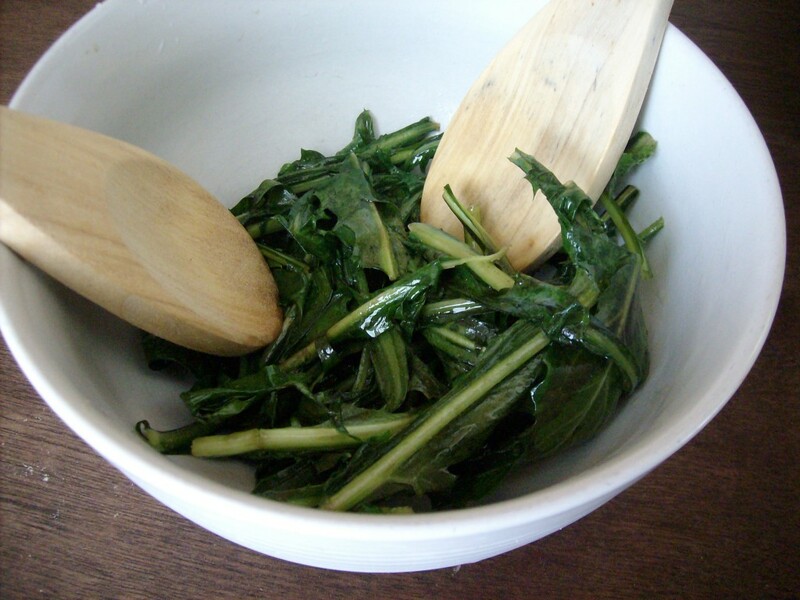 Bitter Dandelion Greens – a perfect side dish. The breakfast chapter includes everything that most grain-lovers consume daily, such as pancakes, french toast, crepes, and coffee cake. Elana is well-known for helping others with dietary restrictions find ways to enjoy their favorite comfort foods, often using ingredients I also commonly use in my recipes, like almond flour and coconut flour. What I love about Elana’s new cookbook is that the recipes are incredibly simple and easy to follow. With very minimal ingredients, her recipes help save time (which is something I really value these days!). 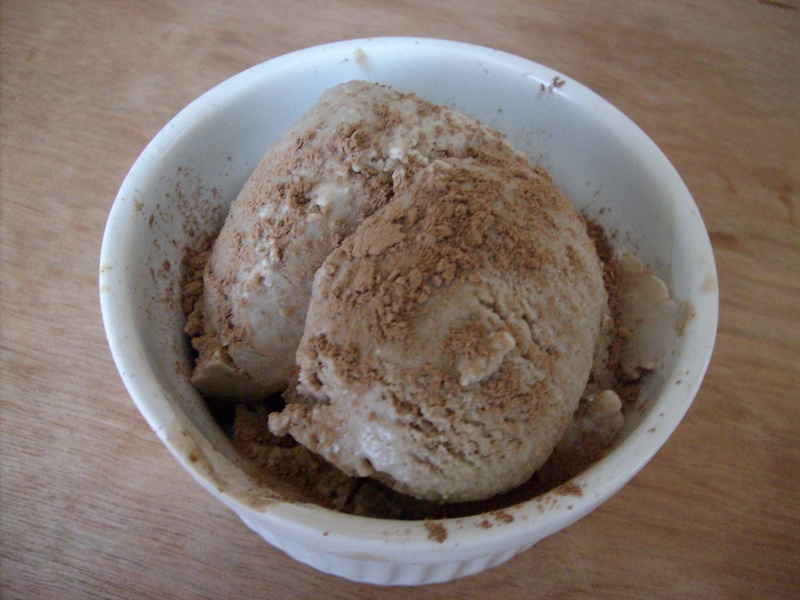 The dairy-free Coffee Ice Cream is a perfect, refreshing, and sophisticated after-dinner treat. This list doesn’t even begin to cover my admiration for this book. I can’t wait to try the Honey Lemon Chicken (pg. 65) and the Grain-free Bagels (yes, bagels!) on page 19. 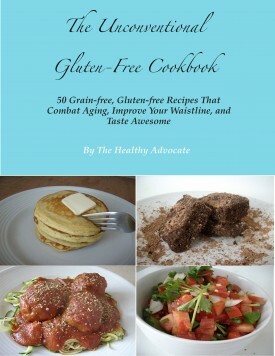 Elana’s new book Paleo Cooking from Elana’s Pantry: Gluten-Free, Grain-Free, Dairy-Free Recipes comes out June 18th. Pre-order your copy today so you can start cooking and baking as soon as possible! Yum those garlic crackers and guacamole look amazing. I’ve never been big into the Paleo lifestyle but this makes me want to incorporate a bit of it. Well maybe, ha at least some of the yummy dishes. For the most part I don’t really agree with it as a lifestyle choice but hey, avocado kale salad and peanut butter ice cream every once in a while never hurt anyone right? Thanks for the review Brandon. Also side note, I didn’t know you were a Nutritional Science major! How cool, that’s what I am. Are you graduated already or how much left do you have until you graduate? 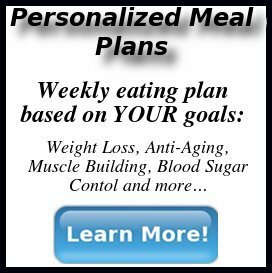 You are currently reading "Paleo Cooking from Elana’s Pantry"